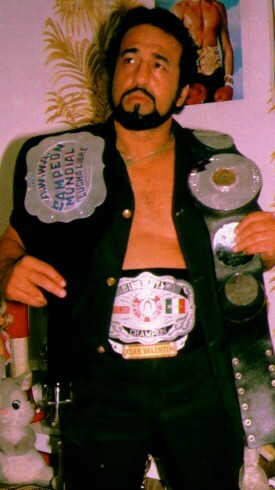 Considered the father of the second major wave of mini wrestling in Mexico. When Valentino was working as an extra on Mil Mascaras's 1973 film Los Vampiros de Coyoacán, Valentino was amazed at how quickly the midget actors on set picked up the finer points of lucha & thought they should train as professionals. The midgets figuring it was the fast way out of smal time theater & circus life took him up on his offer. Valentino trained the mini's: Fili Estrella, Gabby Da Silva, Gulliver, & Pequeño Goliath. This page was last edited on 1 March 2017, at 22:02.